I was born in Spain but raised in Miami, so I’ve always felt equal parts Spanish and Latina. I often felt I couldn’t distinguish which parts of my life and language came from which continent. On the one hand, Miami is a wonderful and unique city—an exquisite melting pot of all things Latin, mixing Cubans, Dominicans, Puerto Ricans, Colombians, Venezuelans, Nicaraguans, Argentines, and so many more together in a beautiful, imperfect harmony. This is exemplified in the Spanglish spoken there. On the other hand, my roots are from Spain. My Spanish heritage has always made me seem slightly out of place with my Latin American friends, whether it’s the lisp on my tongue when I say “gracias” or the paella and lentejas (Spanish lentils) my dad served us at home growing up. I thought this was all my native language had to offer, but I found the missing ingredient on my recent trip to Mexico. 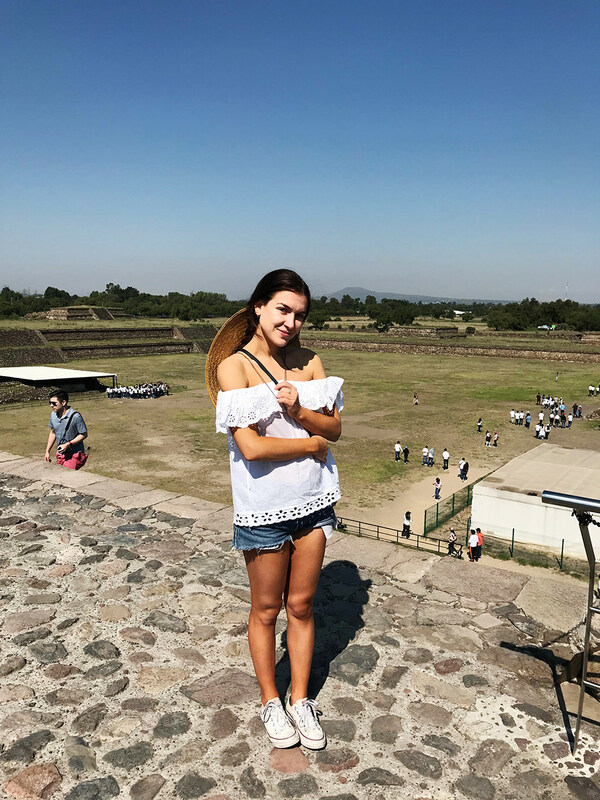 Though as a Spaniard I can be understood across the Spanish-speaking world, it is the small nuances that embody the culture and history unique to each place and make our language so rich. In Mexico, the Spanish language takes on new life with a version that is uniquely its own by incorporating the Nahuatl language spoken by the indigenous Aztecs before the Spanish colonization. Wandering around the streets of Mexico City, I began to notice more and more of these unique distinctions. In the historic part of town you will find El Zócalo. The word zócalo is Spanish for plinth (or a base), but in Mexico it is also used to refer to the main square of a Mexican town. This is because in 1821, plans were made to erect a monument in honor of Mexico’s independence from Spain. However, the monument was never completed, leaving only a zócalo (base) in the designated space. Even though the plinth is no longer there, the word stuck and today other Mexican cities also use the word zócalo to refer to their main squares. 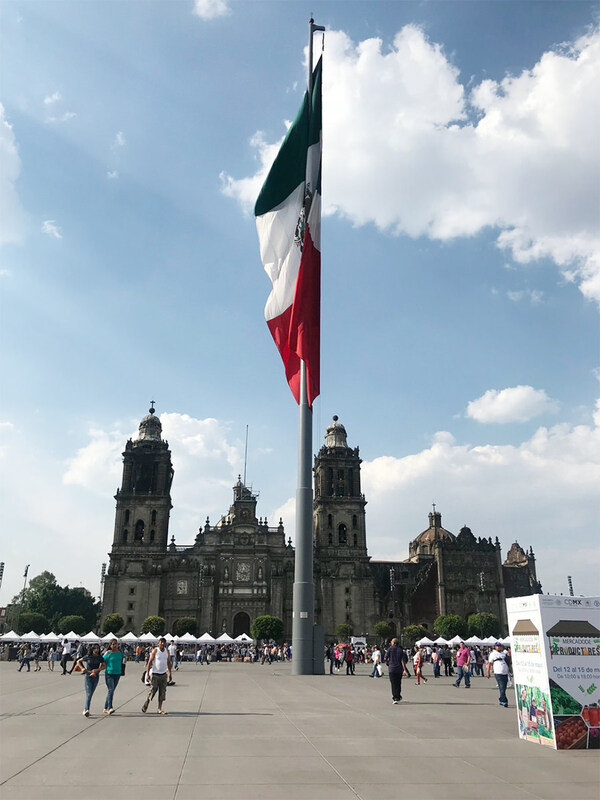 El Zócalo in Mexico City serves as the cities central gathering spot for festivals, protests, concerts, markets, and, of course, the annual “grito” (shout) marking Mexican Independence Day. But, that’s not all. In the late 1970s, workers laying electrical cables accidentally came across some ruins poking out from the ground. 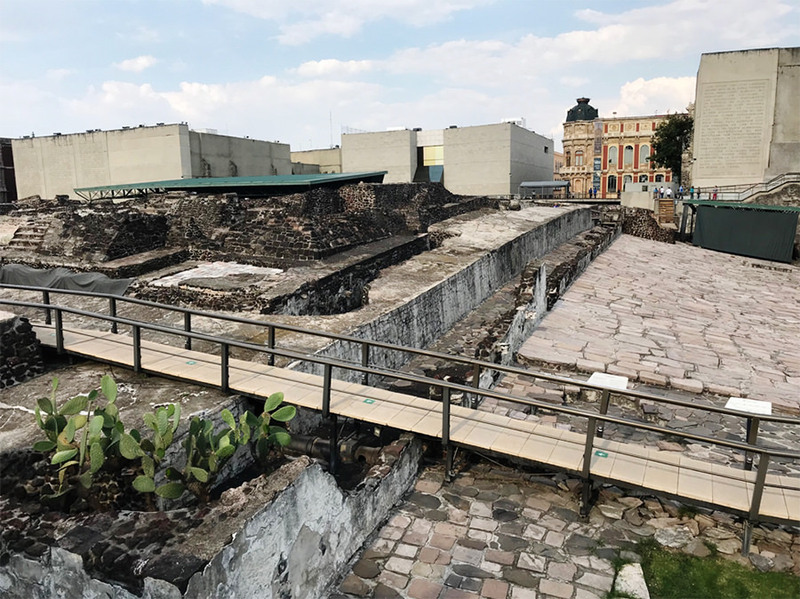 The site was excavated and the ancient Aztec capital city of Tenochtitlan was discovered buried underneath the present day structures! 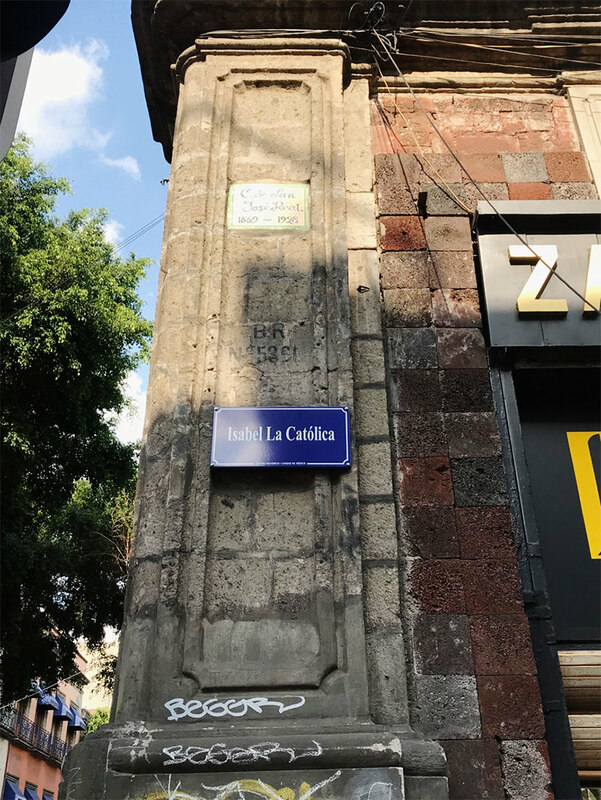 How astounding is it to think that the center of town for Mexico City residents today is the exact same center of town of their ancestors centuries ago?! Visiting the site you see before your eyes what makes Mexico, well, Mexico. The country’s roots are literally beneath it. 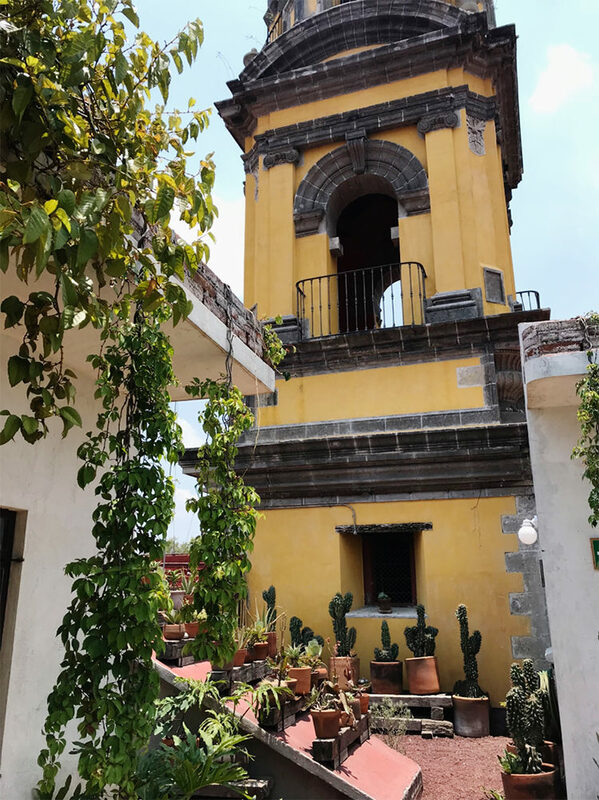 The Aztec architecture has melded with the Spanish architecture the same way the Nahuatl language has meshed with Spanish. The ruins of Tenotichtlan, nearly destroyed by the Spanish in the 1500s when they redesigned the city to fit European standards. It was rediscovered in 1978 and is still being excavated today. Itzcoatl was the fourth king of Tenochtitlan who laid the foundations for the Aztec Empire. 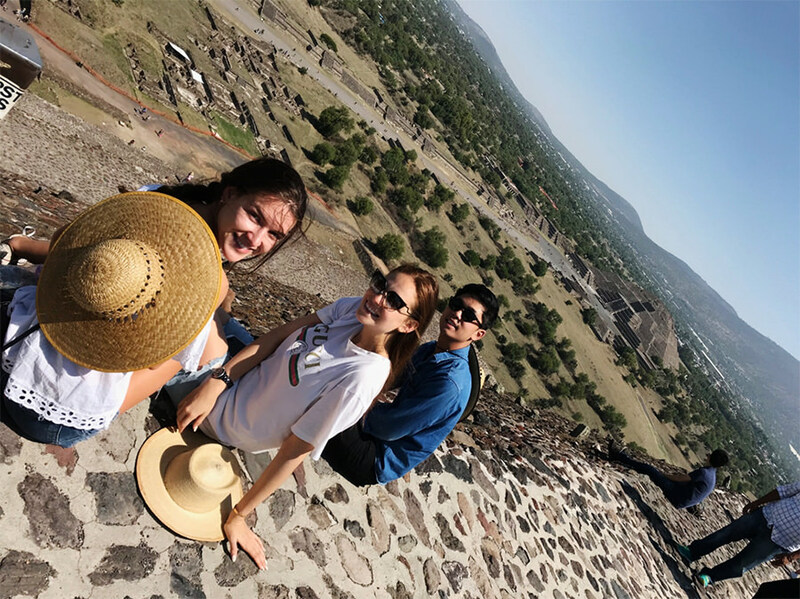 About an hour outside of Mexico City you can find the ancient city of Teotihuacan. This city dates back to pre-Columbian Americans sometime around 100 B.C. The Aztecs named it Teotichuacan (meaning “the place where the gods were created) after they discovered it in the 1400s. The city was designated a UNESCO World Heritage Site in 1987. The Zócalo boasts a huge open space that is typically reserved for large gatherings, celebrations, and political events. The coat of arms on Mexico’s flag features an eagle with a snake in its beak perched above a cactus on a lake: a vision from the ancient Mexica (rulers of the Aztec) who founded their capital city in this exact spot. 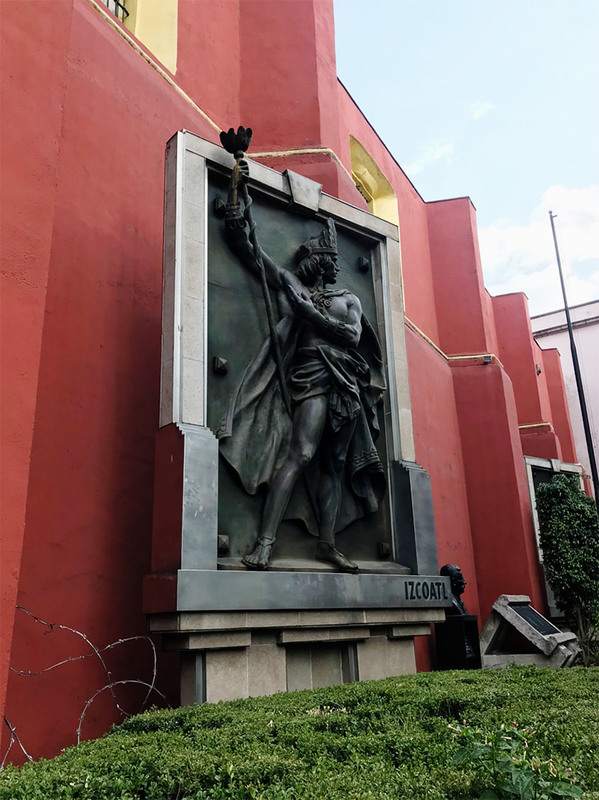 On this one street you can see it is named after the Spanish Queen Isabel, but just down the same road are a series of sculptures depicting Aztec leaders and warriors. Tacos orinoco – You can see that the menu only has 3 options for tacos. 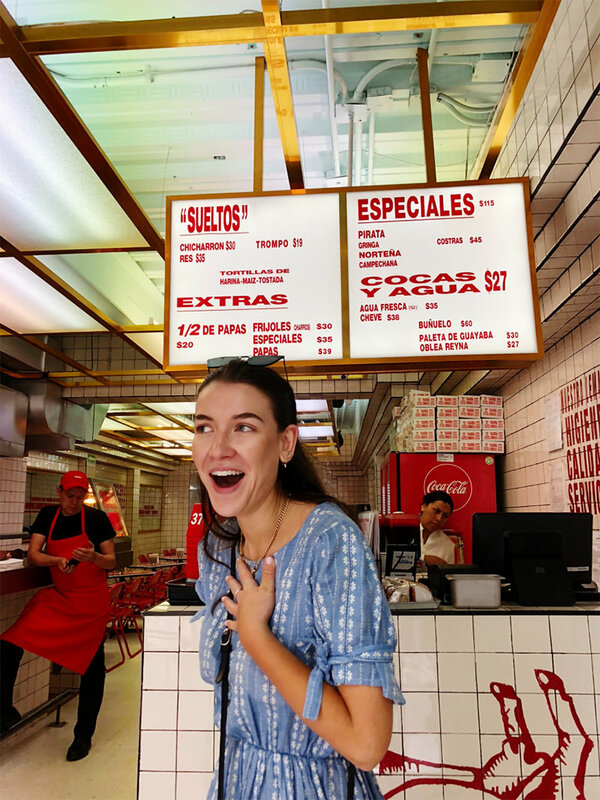 I am not sure if this was my reaction when I disovered what “res” means, or if I was just very excited for tacos. I also had some fun meeting up with friends from Mexico City who showed me some of their favorite local spots. To me, food is one of the most important and enjoyable parts of traveling. Food can tell you so much about a places history and culture, and breaking bread with others is one of the most fundamental past times in human history. What I didn’t know is just how much language plays a role in all of this. Foods we take for granted like tomato (tomate), chocolate (chocolate) and avocado (aguacate) were actually foreign to the Europeans upon their arrival in the the Americas and we can trace back the origin of both their English and Spanish names to Nahuatl roots. In fact, the word guacamole is actually a blend between the Nahuatl word for avocado (āhuacatl) and the Mexican Spanish word for sauce (mole), so it’s literally “avocado sauce!” Yum! At one point in the food tour, my friend took me to a tiny local taco spot, which he claimed to have the best tacos in the city. 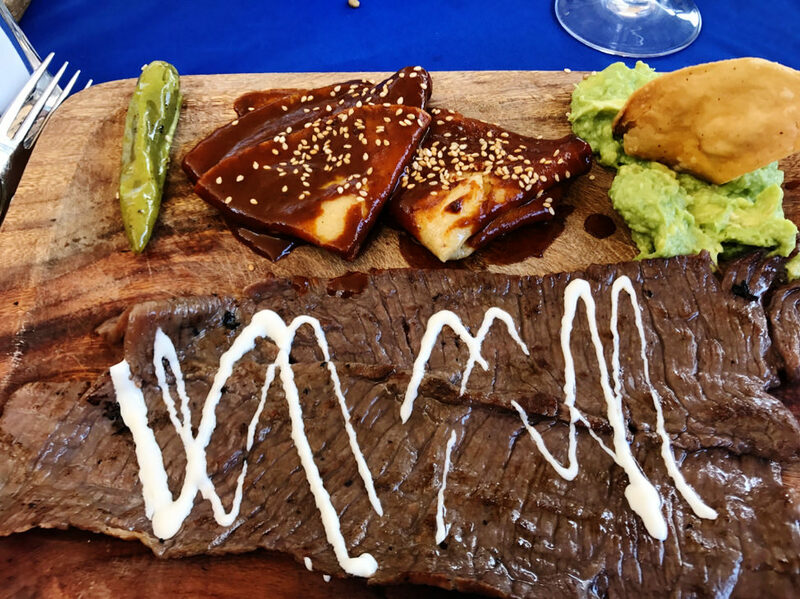 The menu only had 3 items – chicharrón, trompo al pastor, and res. I finally swallowed my pride and admitted to my friend that in all my years travelling in South America, I still have not been able to figure out what res is! He laughed, quite surprised given my fluency in Spanish, and told me that it’s simply beef. How could I not know the word for beef? In Spain we call it carne or carne de vaca, to be more specific. All this time I thought res was some fancy, exotic animal or cut, and it turns out it was the most basic of all. 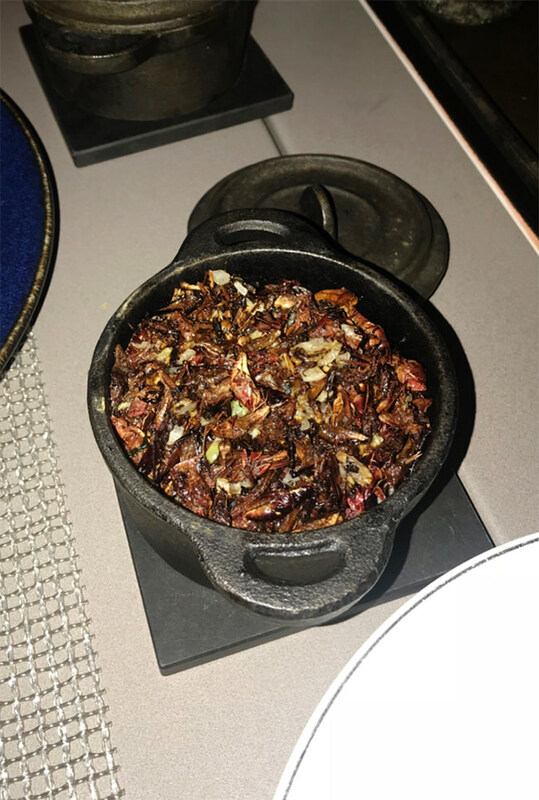 Eating “chapulines“ or grasshoppers – a Mexican favorite! What makes speaking Spanish so special and so fun is that, beef aside, we just about always understand each other. We can laugh at our differences and learn about why we speak the way we do, but whether I am Spanish or Mexican I am speaking the second most spoken language in the world and I can have conversations with people in 20 countries! Now that’s something to toast to! ¡Salud! 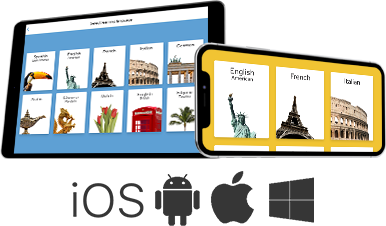 Learn to speak Spanish from Spain or Latin America with Rosetta Stone. Nathalia Ramos is a film and television actress. She has a degree in Political Science from The University of Southern California and works part-time as the Social Media Director at Berggruen Institute. She was born in Spain, speaks fluent Spanish, and is learning Vietnamese with Rosetta Stone.